Generating tangible big ideas within organisations can be a difficult activity. More and more organisations are using ‘hackathons’ to facilitate big idea generation. It’s interesting how language evolves to turn a word with negative connotations into something positive. The word “hack”, for example, has traditionally put fear into the hearts of the staunchest CEO. Just ask the management of hacked dating website Ashley Madison, or any of the big banks that channel a significant amount of their budget into building hacker-proof systems. Yet large corporations all over the world are now embracing the concept of the ‘hackathon’. It’s something of a deceptive term, because rather than actual hacking (subverting computer security), the activity involves organisations making enormous amounts of data available to competing teams of analysts who then brainstorm solutions to specific problems. There are three possible reasons. Firstly, the word ‘hacker’ has come to symbolise a generation of intelligent and disruptive young people who know how to leverage technology to create meaningful change. Secondly, the activity itself usually involves a significant amount of data mining. Finally, the phrase “there’s a hack for that” means that someone has come up with a smarter way of doing something, demonstrated by the increasing usage of terms such as ‘life-hacking’ or even ‘parenting hacks’. Hackathons generally take place over a whole day or even longer, usually in a big space buzzing with engineers, analysts and other boffins. Participants leave their corporate attire at home and come dressed for comfort rather than style, prepared for a long and exhilarating day fuelled predominantly by coffee and sugar. 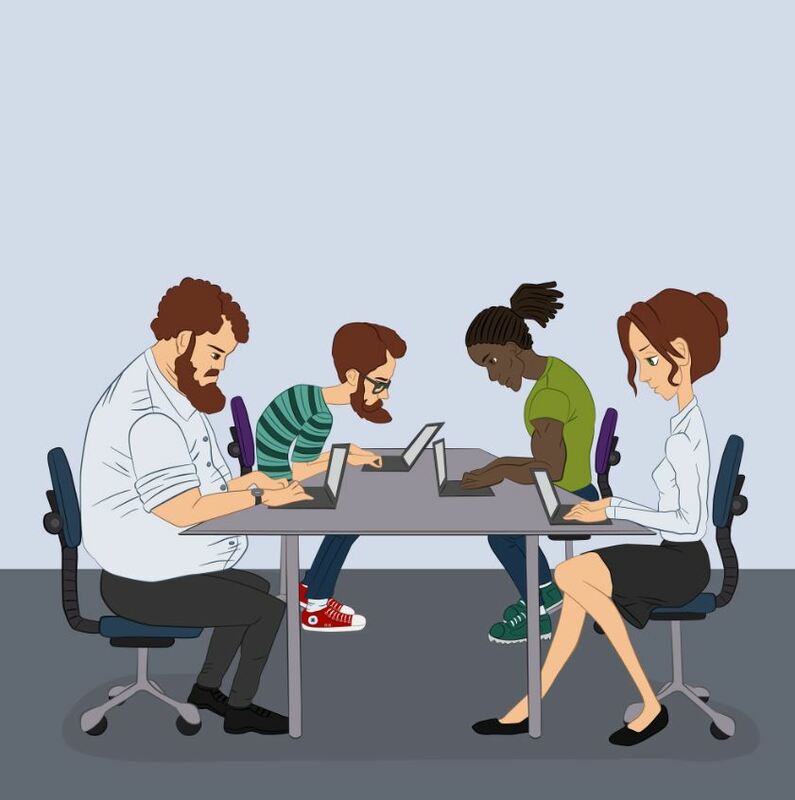 Every organisation runs hackathons in their own way, but the concept usually remains the same. The participants (hackers) are organised into teams with mixed skill sets, then are given a list of key technical challenges that the organisation currently faces. The organisation then gives access to any data or information required to solve these problems, and the hackers get to work. At the end of the hackathon, the teams present their solutions and the organisation picks the winners. One of Australia’s major corporate hackathons, Unearthed, is a 54-hour event run by some of the region’s largest resource organisations. Competing teams are given access to Big Mining data – specifically, transport, logistical, geospatial and geological proprietary data. At the most recent Unearthed event, one of the teams worked out a way to integrate technology into tray trucks that detects when boulders are too large for rock crushers and sounds an alarm to prevent potential blockages. The organisers estimated that this idea alone would save millions of dollars for the sector, with the problem analysed and solved in a mere 54 hours. In the Procurement space, a hackathon is a fun and effective way to engage your suppliers and generate innovative solutions. Invite your suppliers to send their best and brightest to compete ‘live’ against their peers, come up with the most innovative solution to your operational challenges, and win the contract. create solutions to ‘unsolvable’ problems. are fun, engaging and social events. provide a focused environment to solve operational challenges without any distractions. encourage a culture of healthy competition. (most importantly) stimulate innovative thinking in your organisation. Hugo Britt is a Research Consultant at The Faculty, helping to support The Faculty Roundtable, an influential group of Australian procurement leaders, who gather to share their experiences and insights. The Faculty will be hosting their ninth Asia-Pacific CPO Forum, the region’s premier procurement event dedicated to accelerating commercial leadership at the highest level. If you’re interested in finding out more about the Big Ideas Summit on April 21st, visit www.bigideassummit.com, join our Procurious group, and Tweet your thoughts and Big Ideas to us using #BigIdeas2016. Don’t miss out on this truly excellent event and the chance to participate in discussions that will shape the future of the procurement profession. Get Involved, register today.